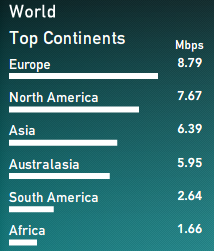 Which countries enjoy the fastest internet service? How does internet connection speed in the Philippines compare against those of other countries? Oh, at least we're not that far behind in terms of upload speed. In fact, we're better than some first world countries in that department. Download speed here remains relatively miserable though. 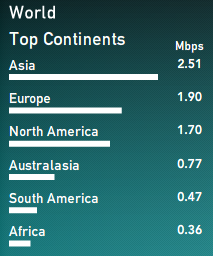 Wanna know why asia has more upload speed than Europe and North America , and on the contrary, NA and EU have faster download speed than asia? Its because we need more bandwidth to give them the information they need (the same way they need more bandwidth to download because they're getting the information we provide) LOL.